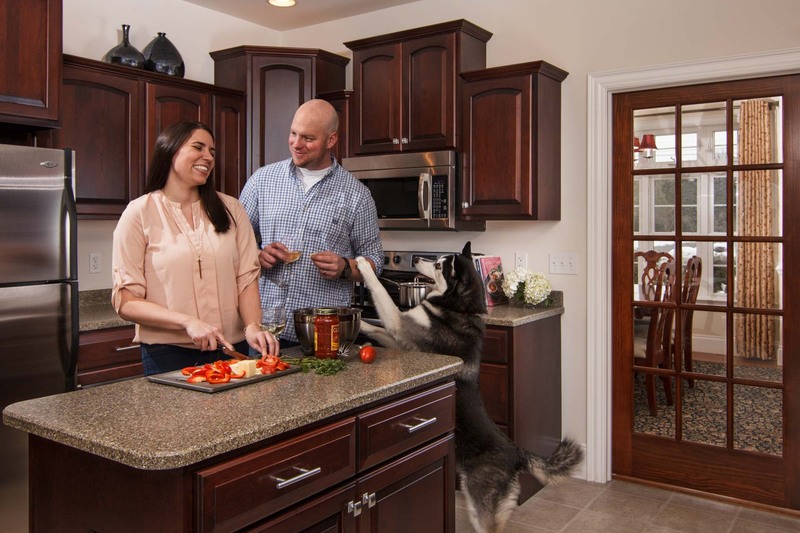 This project was to create the initial images for Brookside Homes‘ “Built for Life” marketing campaign targeted at future homeowners throughout Pennsylvania. 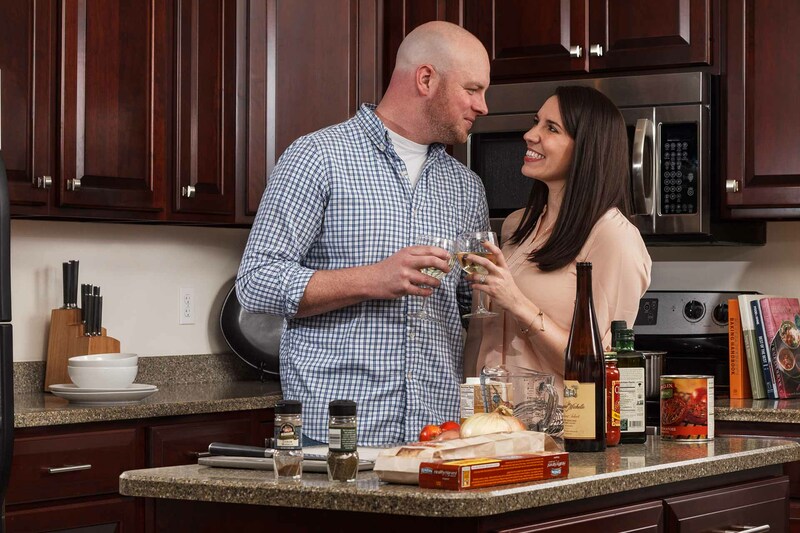 The creative brief called for warm, inviting, “homey,” images showcasing Brookside customers enjoying life in a Brookside home. 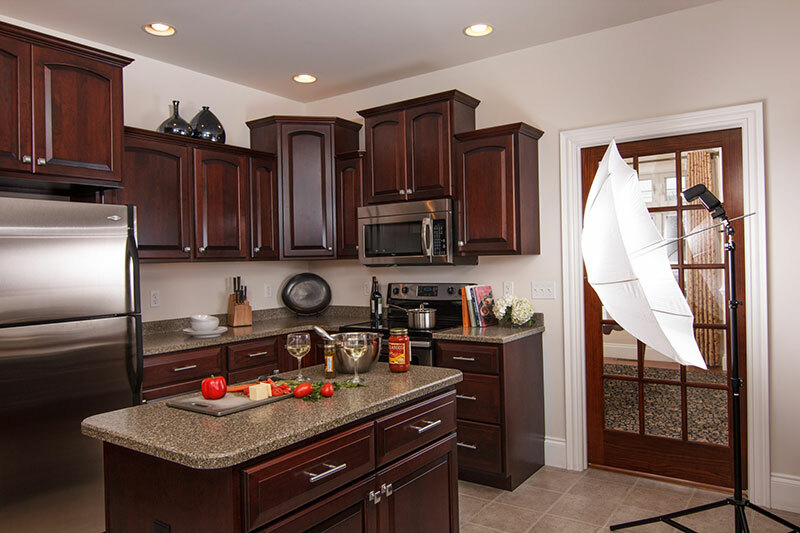 One of the unique challenges we faced was that, in addition to capturing the models (who were actually very satisfied Brookside customers), I also needed to showcase the kitchen and architecture of the home. To accomplish this, we employed a series of compositing tools to take the elements we wanted from individual frames to craft the perfect images in post-production. When working with multiple models (and an excited canine), it can be difficult to capture all of the best expressions in a single frame. 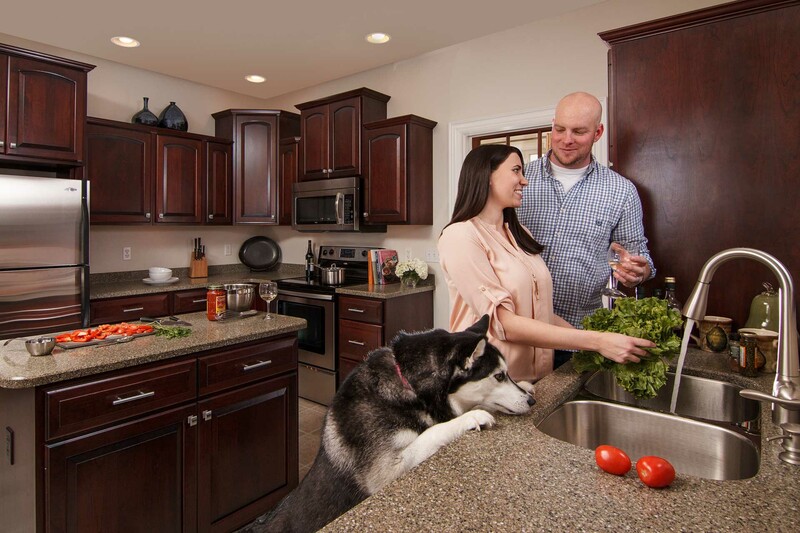 Additionally, our focus was on showcasing the design and luxury of the surrounding kitchen – the countertops, cupboards, French door entryway into the dining room, etc. To compensate for this, we relied on compositing to add in the specific elements we wanted to include. As a case in point, this particular image is comprised of numerous layers, including a background composition and a variety of frames to create the desired foreground for the image. We would begin by photographing multiple background layers, lighting the various elements of the scene to be composited into a base image into which we would add the models. This gave us full flexibility in post-production while allowing us to adjust the lighting on-set as needed to photograph the models without disturbing the background in the final photo. 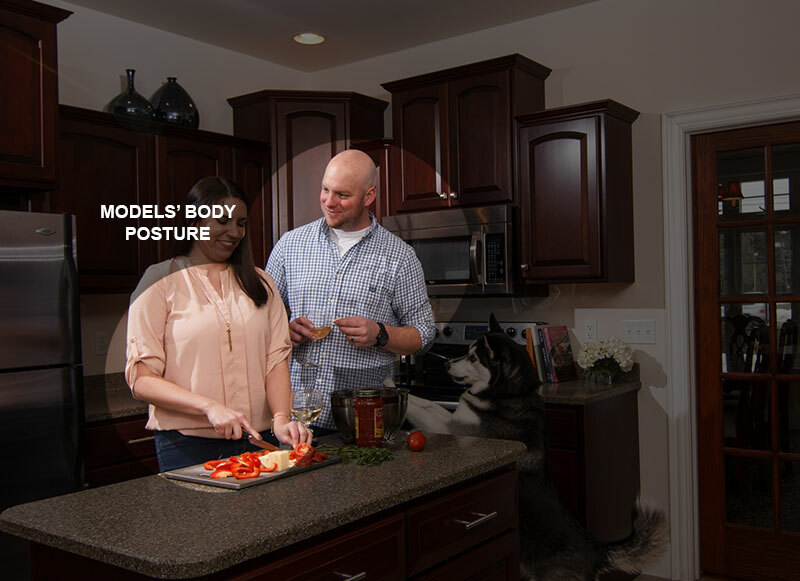 An image was then selected for the posture and body positions of the models. This portion of the image was composited over top the base layer to provide a solid starting place for building the foreground of the image. Facial expressions were very important to the final outcome of the images. They couldn’t be forced or unnatural, yet getting the perfect, authentic expressions from both models in the same frame was proving to be difficult. So, we selected the desired expressions from individual frames that we wanted to composite into the final images. Anyone who has ever tried to photograph animals knows that often the experience can be erratic. As adorable and lovable as she was, it was virtually impossible to capture the perfect expressions of the models along with the dog. 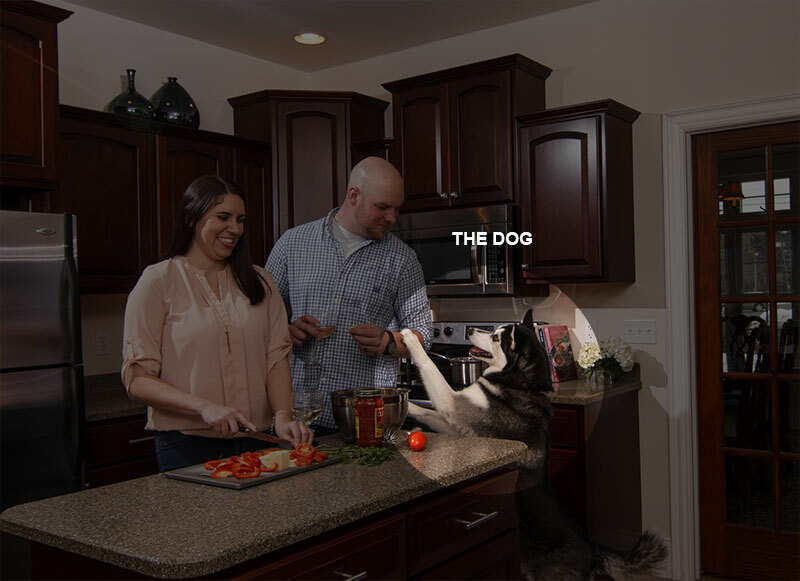 To rectify this, we composited the dog from another frame into the final image to produce that heart-warming interaction. With any production of this size, there’s a number of hands that help in making it work. From setup and staging to hair and makeup to the models themselves and client representatives, there were a variety of people whose efforts went in to pulling off this shoot. 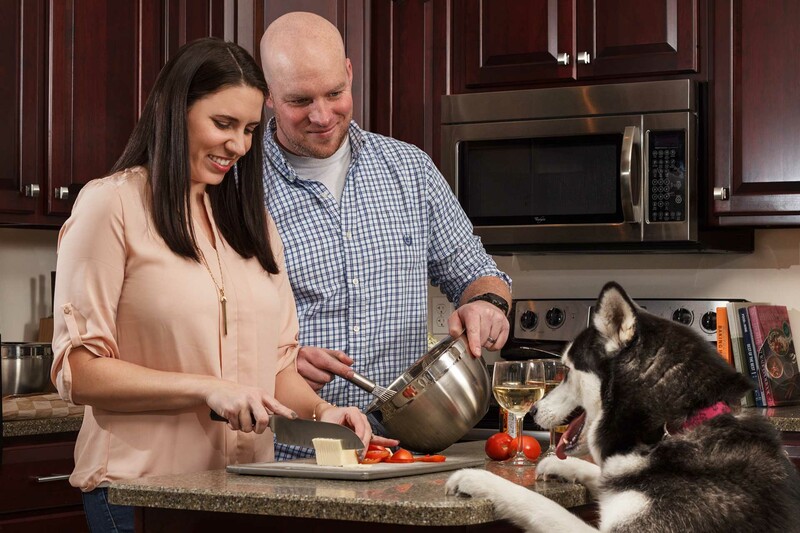 And, who doesn’t love a photo shoot that includes an adorable puppy, right? A huge thank you goes out to the great team at Uptrend Marketing and Brookside Homes for making this shoot such a great success!